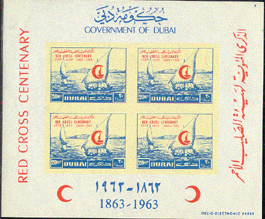 16952 ND DUBAI (1963) Dhows*. Red Crescent*. Imperforate M/S of 4 stamps. Scott No C9. Michel Block 1B. 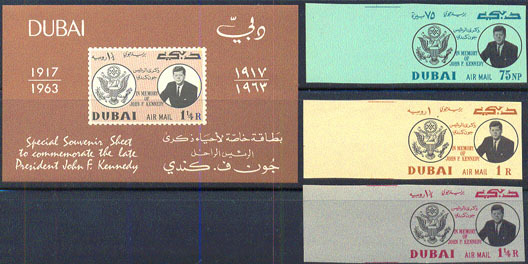 1558 ND DUBAI (1964) J.F. Kennedy*. Set of 3 imperforates plus S/S. Scott Nos C25-7.